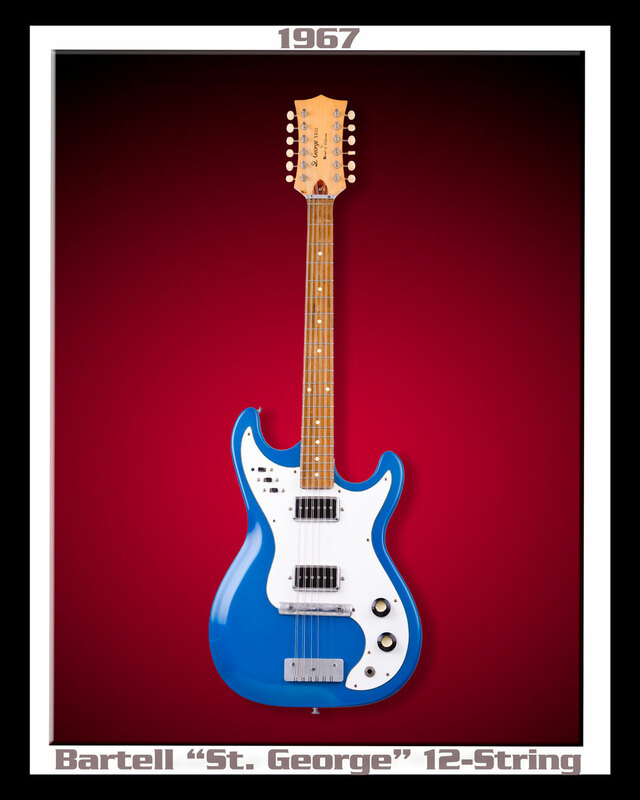 The seldom seen BARTELL GUITARS originated in Riverside, CA in the '60s. 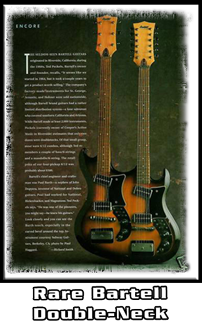 They manufactured limited numbers of 6, 12 and 6/12 string combos as well as a few basses. An estimated 2000 of these fine instruments were produced under chief engineer and master craftsman Paul Barth. 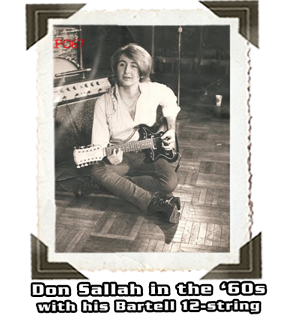 Back in the early 60's, Paul Barth (who also worked for National, Magnatone and helped Leo start Fender guitar) along with Ted Peckels started The Bartell Guitar Company. They experimented with various wood-types and the affect it had on the tone of an electric guitar. This experiment gave birth to this truly amazing 12-String. The Bartell 12-String Guitar (XK-12) needs to be heard to be believed. It sounds like the "GODS" are personally singing to you. 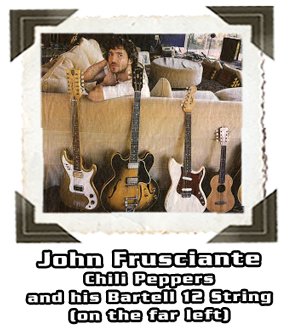 Ted Peckles said "Barth was one of the pioneers... he knew his guitars." 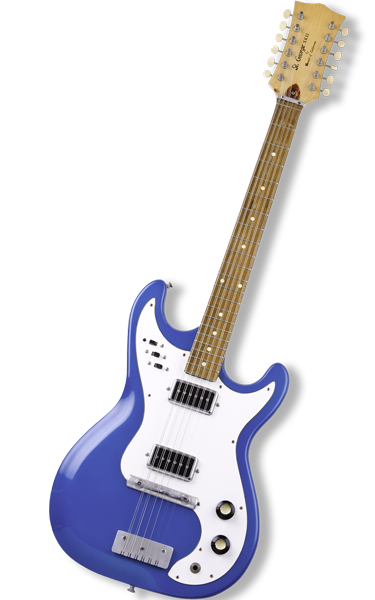 Listen closely to any Bartell Guitar and you'll hear that Barth-Magic in every note you play.